Are minors getting nicotine poisoning from e-cigs? The concern of minors being exposed to nicotine-enhanced e-cigarettes and vape juice has been a growing concern for more than four years. To help study the impact of vaping on children and teenagers, researchers recently executed a 42-month study to uncover additional data, according to NCBI. The recent research program, titled “an Epidemiologic and Clinical Description of E-Cigarette Toxicity,” centered on minors who ingested or inhaled small elements of nicotine. Researchers for the study set up camp at an American poison center and studied 265 cases, featuring 193 minors and 72 adults. Of the exposures, the researchers concluded 72 percent of children and 61 percent of adults were affected via e-liquids. The study went on to suggest even with small doses of e-liquid, 32 percent of children developed traces of toxicity, NCBI reported. Exposure to e-liquids caused primarily mild symptoms only a few cases were deemed to have included serious nicotine toxicity intake. Generally, the symptoms cleared up in about four hours, according to an Abstract study. The American Association of Poison Control Centers defined “exposure” as an individual absorbing, inhaling, or ingesting nicotine. The centers cautioned critics that a low percentage of the exposed end up getting poisoned or suffering an overdose, but the situation hit a crisis point in 2014 when nearly 4,000 nicotine poisoning cases were reported. Minors who suffered from nicotine poisoning generally felt ill, accompanied by nausea and vomiting. Some were admitted to hospitals, according to NCBI. The new data backs up research executed by Consumer Advocates for Smoke-free Alternatives Association (CASAA) Vice President Kristin Noll-Marsh in 2012. While the info is a bit dated, Noll-Marsh’s study concluded children’s exposure to household products, such as the ones used for cleaning, were the true highly toxic chemicals that should worry parents about potential serious poisoning overdoses. What’s not dated is any kind of connection between minors and toxicity. That concern will never get old. 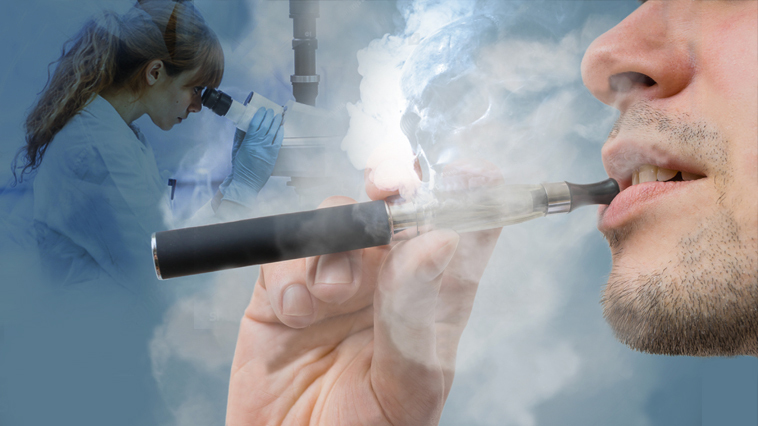 Keep informed on the latest scientific studies related to vaping by checking out our News page!